Getting the right level of service for your Volkswagen is important to us at McMinnville Volkswagen. We are right here in McMinnville just southwest of Portland, OR. We never undermine the quality engineering that was put into your vehicle in the first place. The next time your vehicle is in need, let us take care of things for you. We can do the regular maintenance that your VW will require from time to time, and we can take care of major service problems when they come up. Oil changes are second nature to us, and we will always use the right products and the right procedures. That same philosophy extends to every other aspect of our service. We do everything that you see on the list below, and much much more. 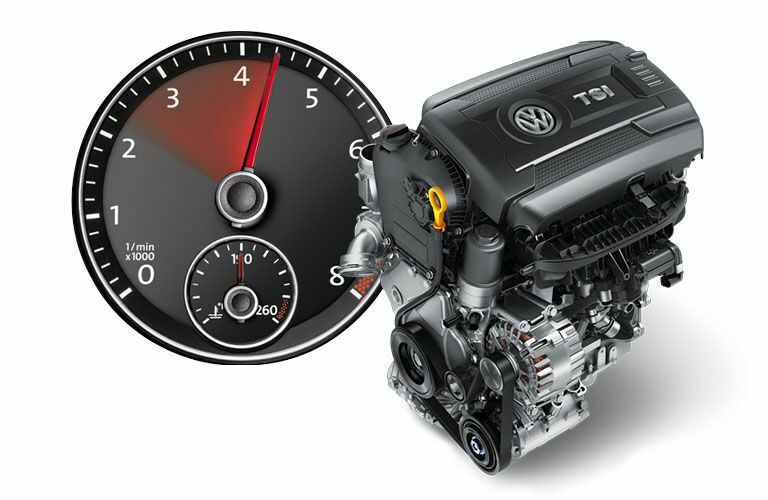 We can even work on the engine or transmission of your Volkswagen and get things working just like new. There are service centers, and then there are Volkswagen service centers. Both may say they can get your Volkswagen what it needs, but only the latter is telling the truth. Volkswagen is a unique brand, and it takes a special kind of team to tackle any service or maintenance that needs to be done. Our team has been specially trained to handle anything that may be wrong with your VW. Their years and years of experience will always be able to determine the right solution to your every problem. They follow proper Volkswagen procedures which ensures that your vehicle will once again be ready for any challenge that you may put in front of it. We have the right team to work on your car, and they always have the right tools, equipment, and facilities available when they need them, but this team can also take care of you. They know how important your Volkswagen is to you, and they want you to have the best Volkswagen owning experience possible. They take the time to get your service done right so that you don't have to come back, and they work efficiently so that you can get back to driving your VW as soon as possible. We are always honest with all our estimates, and we will even take the time to explain your service to you in simple terms. Let us work with you, and give your Volkswagen the service that it needs at McMinnville Volkswagen. Getting the right service is one thing, but making sure that your service center has and utilizes the right parts is another matter entirely. There are a lot of places out there that will not think twice about putting after market junk or even junk yard scrap into your Volkswagen. This never creates a good situation. It can damage the integrity of your vehicle, and it can even make your VW less safe. McMinnville Volkswagen only uses the right parts, and that means genuine OEM parts. These are the same parts that Volkswagen designed to work with your vehicle in the first place, and they will make that car drive just like new again. Get the right parts and service from McMinnville Volkswagen. We want you to have the parts that you need when you need them, and that's why we have an absolutely huge inventory of genuine OEM parts right here in McMinnville. We want you to get what you need the moment you need it, and with our inventory we probably have what you are looking for. If for some reason we don't, then we can order that part in for you and make sure that it still gets here as fast as possible. Not only can we get that part for you, but we can install it for you too. By letting our service team handle your parts installation, you ensure that your parts will be installed correctly. Let us get to work for you and get your parts installed as fast as possible. If you have any questions about the service process or about the parts that we can provide, then give us a call or stop by. Let us provide you with answers.